Nuclear deterrence is again at the forefront of strategic planning issues — not only for the United States but also its major allies, particularly the members of NATO. Moscow seeks to leverage the threat posed by its growing and modernizing nuclear arsenal to paralyze any Western response to its efforts to destabilize the political, economic and governmental stability of nations on Russia’s periphery, and shatter the alliance. Senior Russian leaders have repeatedly and publicly threatened the use of nuclear weapons against European nations, including NATO countries. Russia has violated the Intermediate-Range Nuclear Forces Treaty, even announcing that it was permanently stationing an advanced variant of the nuclear-capable Iskander missile to Kaliningrad from where they are but a few minutes flight time from critical NATO military installations in central Europe. The Trump administration’s Nuclear Posture Review illustrates from an American standpoint the long-standing view that a strong, cohesive nuclear alliance is the most effective means of deterring aggression and promoting peace and stability in the Euro-Atlantic region. Deterrence, particularly of nuclear attack, is dependent on deploying and maintaining credible and effective military capabilities. In addition, the sharing of responsibility for the storage and delivery of tactical nuclear weapons among member countries is a key aspect of NATO’s strategic deterrent. NATO’s arsenal of tactical nuclear weapons consists entirely of air-delivered B61 gravity bombs. Currently, in addition to U.S. forward-based fighters, five NATO countries — Belgium, Germany, Italy, the Netherlands and Turkey — host tactical nuclear weapons, and all of these but Turkey have dual-capable aircraft dedicated to their delivery. For Germany’s part, the new government faces a major defense procurement decision with serious consequences not only for that country’s security but the future of NATO. The German Air Force, the Luftwaffe, must decide within the next several years on a replacement for its fleet of some 70 Tornado fighters. These aircraft need to be retired starting in 2025. 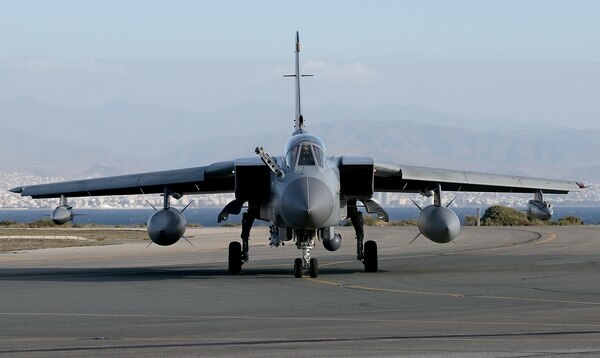 What makes this otherwise rather modest requirement of such significance is that some of the Tornado fighters are dual-capable, meaning they have the special wiring and controls to deliver nuclear weapons. Unless their replacement is capable of delivering nuclear weapons, Germany will be unable to fulfill its commitment under NATO’s nuclear-sharing agreement. The Luftwaffe needs a Tornado replacement that is not only outfitted to carry nuclear weapons, but also capable of delivering these weapons to their targets in the face of advanced, highly lethal air defenses on the first day of war. The German government has suggested the Eurofighter Typhoon might fit the bill. Currently, Germany operates 145 Eurofighters. However, the Typhoon meets neither of these criteria. Designing, testing and certifying a nuclear-capable Eurofighter variant would take years to develop and add hundreds of millions of dollars to the already high cost of this aircraft. In addition, the ability of the Typhoon, like all fourth-generation fighters, to penetrate Russia’s integrated air defenses is already questionable. Because the nuclear deterrent mission must be credible from the outset of hostilities, before Russian air defenses have been attrited, the use of fourth-generation aircraft in this role is increasingly nonviable. Fifth-generation aircraft, currently the American-built F-22 and F-35, have capabilities that make them particularly suitable for missions involving countering advanced air defenses. Also, in recent Red Flag exercises, the F-35 Joint Strike Fighter achieved a 15-to-1 air-to-air kill ratio against a variety of fourth-generation aircraft. These are the major reasons why three U.S. military services and the U.K., Italy, Norway, Canada, the Netherlands and Turkey, NATO members all, have already committed to acquiring the F-35. Belgium is currently examining several options to replace its F-16s, including the F-35. 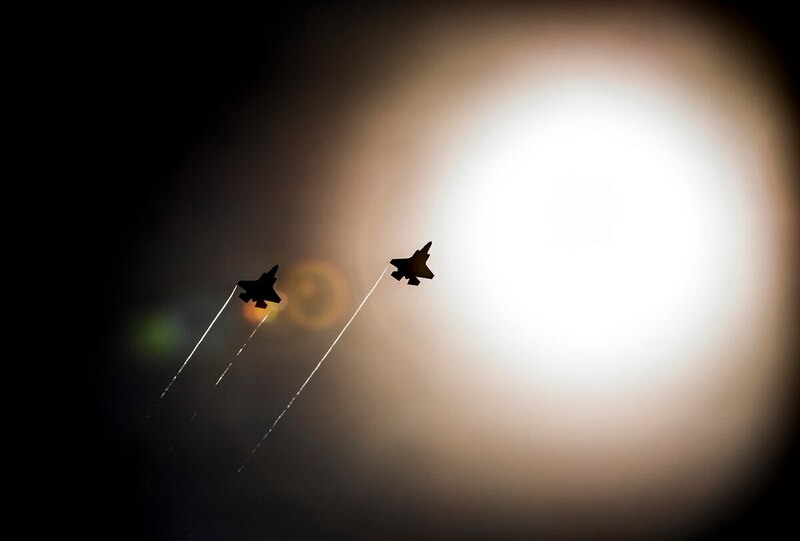 Some number of F-35As, the version being acquired by the U.S. Air Force and several NATO allies, will be modified with the wiring and other gear to enable them to carry the B61. Current plans call for a nuclear-capable F-35A to be fielded in the early 2020s. This timeline would meet the Luftwaffe’s schedule for retiring its Tornado fighters. Even senior German defense officials see the Joint Strike Fighter as their country’s best near-term option. The Luftwaffe’s chief of Staff has hinted that the F-35A is the only aircraft that can meet all his service’s requirements for a Tornado replacement. In addition, he pointed out, acquiring a stealthy fifth-generation fighter capable of attacking targets from far away would strengthen the interoperability of European air forces. For political and industrial base reasons, the German government prefers to replace its Tornado aircraft with a European fighter. However, it is already too late to develop a new aircraft and meet the 2025 deadline. In the long term, Germany will naturally want to pursue a European fifth-generation fighter capability. But for now, it makes sense for the Luftwaffe to acquire the F-35.